WHO warns Ebola infections could reach 20,000. 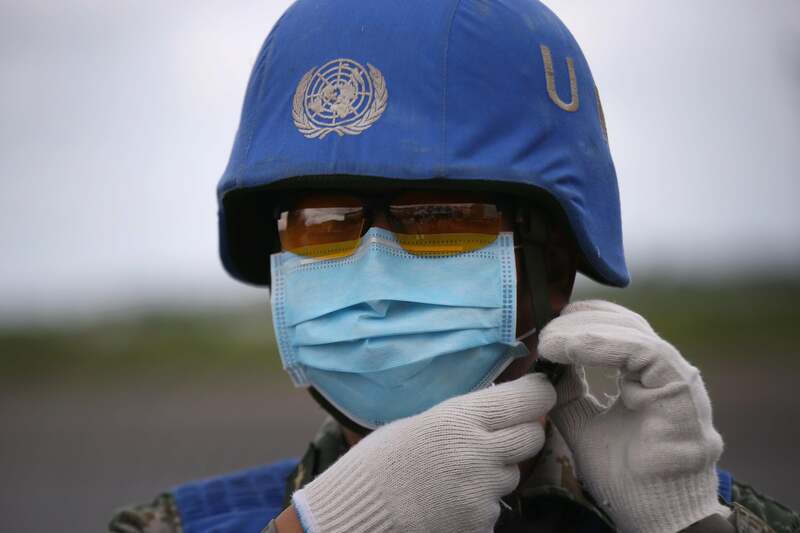 A UN soldier prepares a truckload of Ebola relief aid in Liberia. The Geneva-based WHO said in its report, which it dubbed a road map for responding to Ebola, strengthening laboratory facilities and adding staff with more expertise in the disease were necessary to containing the outbreak. Public health infrastructure needed to be improved to cope with future threat… The WHO said getting health experts to regions affected by the Ebola virus outbreak was an urgent priority. That has been made difficult because international airlines, including Air France, British Airways and Emirates Airline, have suspended flights to some of the four affected countries. Air traffic into the affected areas was likely to be addressed in the next two weeks, the WHO said. By the end of September, a United Nations-led plan will be launched to improve air access to the area, it added. The WHO program will likely cost around $490 million and require contributions from national governments, some U.N. and non-governmental agencies, as well as humanitarian organizations, it said.